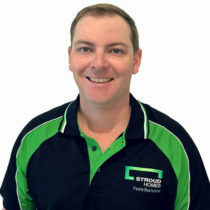 With over 13 years’ experience in the building industry, Peter has worked on small, local jobs through to multi-million dollar projects. Turning this professionalism to residential building, Peter’s aim is to build quality homes, not houses. 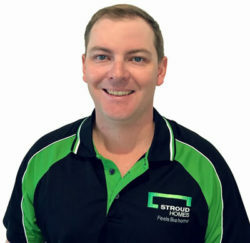 He wants everyone who builds with Stroud Homes Tamworth to feel like they’re the only customer he has. No stress, no hassle, just an easy building experience they’ll want to tell their friends about. Thank you to Pete & his team at Stroud Homes Tamworth. In just 13 weeks we were living in our home. It was the fastest build we could have imagine, Pete and his team worked effortlessly to bring it together. It’s now been 6 months living in our new home and we couldn’t be happier with the final process. From the very first point of contact through to walking into our newly completed home at handover, we knew we had chosen the best to build. Being able to customise our home without hassle or additional cost was fantastic. The communication between all parties was faultless. Pete met all our needs and it is evident that every trade involved in our build had a sense of pride in their work. Any issues were quickly identified and resolved – usually before we were even aware of them. There were no surprises in the final cost either, thanks to the quoting system they use, every detail and cost was accounted for before we even began the build. If you’re thinking of building make sure you talk to Pete! Wow what can I say, The build was managed very well in just 18 weeks we were moving into our beautiful Stroud Home Peter and his team have done a fantastic job and the workmanship is great quality across all trades. We had one issue that was fixed in a timely manner and would recommend Stroud Homes to any one. Our Final cost only changed as we made a couple of changes along the way but were satisfied with final build cost. Thank you to Peter and his team we are very satisfied with our Stroud Home. Our build with Stroud Homes Tamworth was spot on. We chose to talk with Stroud due to the variety and appeal of their plans. Once we sat down with the sales team and was introduced to Peter we knew we were in good hands. We were able to customise the plans to our needs and nothing seemed an issue or too hard. We dreamed it, they were able to make it reality. We were kept updated throughout the build and had many guided walk through that were a good opportunity to ask questions no matter how simple or complex. The site was always kept clean and tidy and the workmanship was excellent quality. On time and on cost was important to us and both were achieved. From initial planning to handover and moving in, we couldn’t be happier with our Stroud Home.